Most Nigerians who are fans of Xiaomi are not aware that the Xiaomi Redmi 6A has a modified version that I am going to refer to as it's elder brother. The reason it is struggling to surface might have something to do with semblance or marketing. The fact remains the Xiaomi Redmi 6 and 6A look so much alike, some similarities thye share include having the same 5.45-inch display at 720p, the same polycarbonate plastic body, the exact same MIUI 9 software running on top of Android 8.1 Oreo and even the same battery capacity of 3000mAh. The Redmi 6 comes with a fingerprint scanner, an expanded RAM of 3GB tied to an internal storage of 32GB. All these coupled to it's Helio P22 octa-core processor makes this device a worthy elder brother. We even get a dual camera, with a 12MP and a 5MP lens, although the front-facing camera remains the same at 5MP. Despite all these features in the REdmi 6, the Xiaomi Redmi 6A stood out from the crowd, at that price, you couldn’t really get anything better than it without compromising more. However, the script is not the same for the Redmi 6. At N45,000, there’s so much being offered by the competition that the Redmi 6 will struggle to turn any heads. One thing is sure, any phone I want to use must easily fit into my pocket, that's why the redmi 6 caught my attention. Those with small fingers, especially ladies wouldn't find it difficult to scroll through the device when they want to pull down the status bar. According to an analyst with Techweez, the polycarbonate body also feels solid, it’s plastic but has some assuring heft to it that takes away the cheap feel. He also thinks when it comes to using the phone, the software is polarizing. There are people who don’t like MIUI while the majority – and target market, don’t even know what MIUI is but they will appreciate all the customization options they get. From completely changing the look of the software through system-wide themes to unique tricks and tweaks that are only enjoyed by Xioami users, glorified geeks will be throwing rotten tomatoes at MIUI, but the general consumer will easily fall in love with the software on the Xiaomi Redmi 6. Any slow device isn't for me no matter how beautiful or bezel it looks. I don't like apps reloading or closing on me either. Talking about speed and performance the Redmi 6 performs tasks quite well. Apps load fast, they stay in memory for quite a while, which makes switching between apps a breeze and the most important thing is that the phone comfortably lasts throughout a day of social media, YouTube, snapping photos and even listening to music. Although, charging the device is a pain since there’s no fast charging and we are still stuck with the traditional USB port. Speaking of ports, we do get a headphone jack but no headphones in the box. Truth is, its never easy for a phone's camera to please me, this is why I don't pay in depth detail to camera during my reviews. But seems I am a little impressed with the redmi 6's camera due to it's relatively cheap price. I would say the images produced by this gadget are "fair enough" but I would have said poor if i were to be a lady lol. Will I recommend You buy? Well, with the asking price standing at N45,000 it shouldn't be so hard for me to give a nod, but I feel the phone is open to more criticism and I know there might be a price drop soon. As a tech geek I could buy this for for the purpose of gaming, browsing, and perhaps blogging but I won't advise my female readers to buy. Ladies love camera! 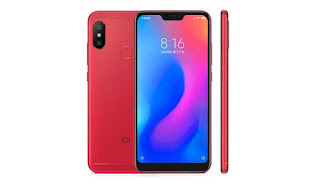 Buying the Xiaomi Redmi 6 will not be a mistake, actually, it is an experience that you will enjoy and cherish but maybe the company should consider shedding off a few thousands to undercut the competition that seems to have an upper hand. Good news is the Redmi 6 is now down to N41,000 on Jumia! due to BLACKFRIDAY. This changes everything!